For two decades, the Children’s Film Foundation specialised in producing short films and serials for younger audiences, and was responsible for giving many young actors their first experience of big screen work. Episode 1 . The Invisible Space Bubble. Episode 2. Stranger from Dragonara. Episode 4. The Tent with four legs. Episode 6. Danny gets Jet-Propelled. Episode 7. The Runaway Bubble. Episode 8. Potter in Pursuit. Episode 9. In search of Zoomite. Fagin’s Gang: Robert Bartlett, Jeffrey Chandler, Chris Duff, Nigel Grice, Ronnie Johnson, Nigel Kingsley, Robert Langley, Peter (Stuart) Lock, Ian Ramsey, Billy Smith, Kim Smith, Freddie Stead, Ray Ward, John Watters. The film needs little introduction as it was a huge hit at the time and became a perennial favourite. The great success of Lionel Bart’s long-running stage show made it an inevitable candidate for a screen version, but the late 1960s was a period of decline in movie musicals: Doctor Doolittle, Star! and Camelot all disappointed at the box office. So adapting Oliver! did not guarantee success, but veteran director Carol Reed knew how to get the best performances out of everyone, and the entire production team, from Onna White’s inventive choreography to John Box’s amazing production designs, made the resulting film a classic. It was made almost entirely at Shepperton studios, rehearsing and filming throughout 1967. Wisely, the film made few major changes to the hit show. 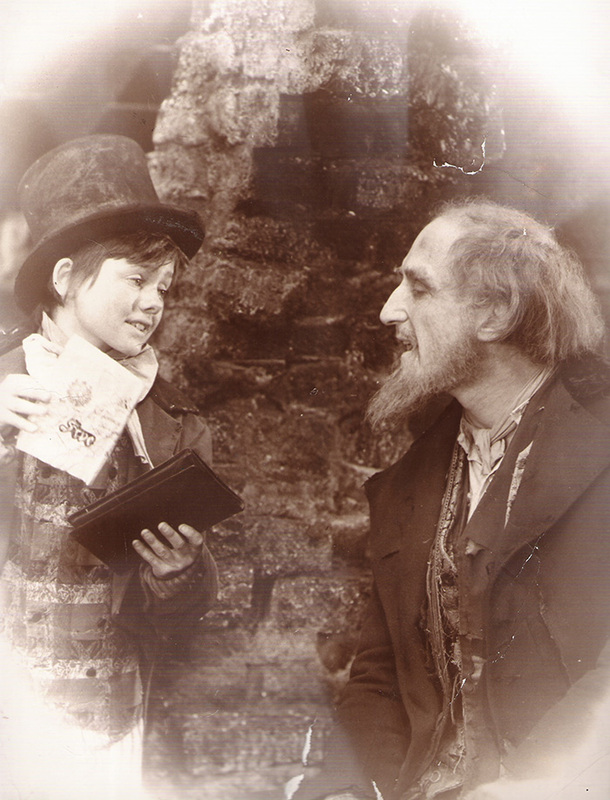 One alteration was the strengthening of the bond between Fagin and Dodger. In Dickens’ original, Dodger is sentenced to transportation and is not present in the final chapters, whilst Fagin is last seen awaiting execution at Newgate prison. In the stage show, Bart had Dodger arrested in the climactic scene when Sikes is shot, and Fagin escaping alone. Vernon Harris’s screenplay invented the marvellous coda in which Fagin and Dodger meet up and dance off into the sunrise, presumably to continue their criminal careers somewhere else, and it became one of the most memorable scenes in the picture. Initial reviews were mixed: John Russell Taylor in The Times didn’t think much of it, but Ian Christie, writing in the Express, thought it was excellent. The movie didn’t find favour with the British film establishment, and gained no major awards at the BAFTAs, but it was a different story in the U.S. where the film won a string of Oscars including Best Picture and Best Director. Ron Moody and Jack were both nominated but didn’t win. 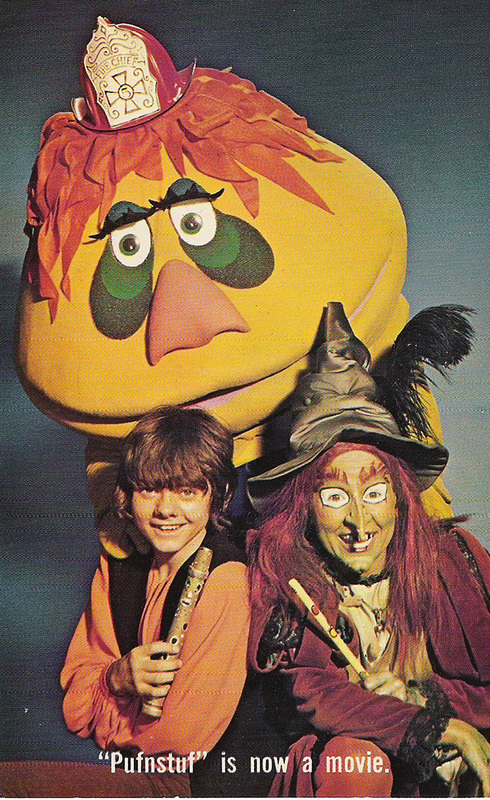 Filmed in the Winter of 1969-70 Pufnstuf reunited Jack with the fabulous Billie Hayes and many of the great performers who worked on the H R Pufnstuf tv series. 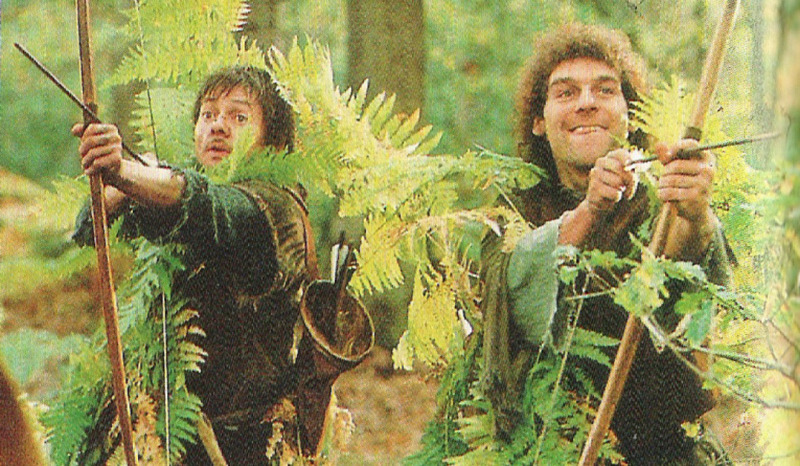 The film went into production whilst the tv series was still on its first run. The movie had different writers, composer and choreographer to the series, plus a Witches’ Convention and more of the real world Jimmy leaves behind. Otherwise, things were largely unchanged on Living Island, with more elaborate schemes from the ‘evil but ineffective’ Witchiepoo, the familiar characters of Seymour, Orson, Cling, Clang, and the reassuring presence of the benevolent yellow dragon. The soundtrack album produced by Charles Fox (Capitol SW-542) was released at the same time, and Jack features in several songs: If I Could, Living Island, A Friend in You, Pufnstuf and Zap the World. Jack and Helen Raye play two children who run away from their cruel stepfather (William Rushton) and travel to Ireland to try and find their grandmother (Dorothy McGuire). But their journey is a hazardous one, as they are pursued by their wicked uncle Hawk (Ron Moody). The film has splendid location photography, a touching central relationship between Finn and Derval, a great Irish supporting cast (including Dana), an excellent score by Roy Budd (including the whimsical production number ‘You Don’t Have to be Irish to be Irish’), and a superb, anarchic performance by Moody as he adopts a range of disguises in his increasingly desperate efforts to catch the children. Melody was widely promoted as the on-screen reunion of Jack and Mark Lester for the first time since Oliver! It was a coup for the Hemdale group which represented both actors at the time. 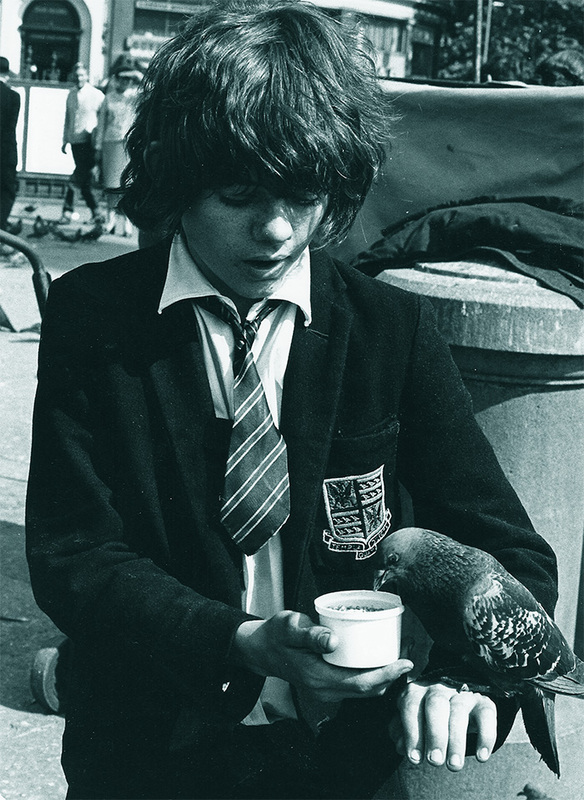 The script by Alan Parker certainly played to their relative strengths: Mark once again the well-spoken innocent, this time falling for an eleven-year-old girl at his school (the title-role charmingly played by Tracy Hyde); Jack again playing a scruffy, down-at-heel, quick-witted ragamuffin. 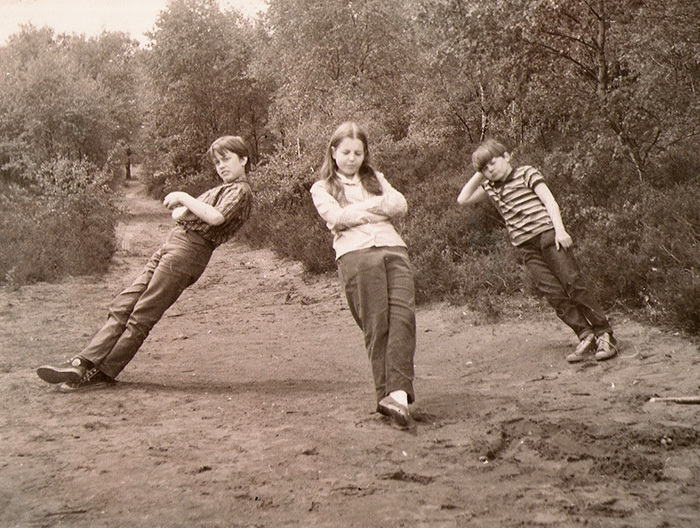 The film tackles the young love of Daniel and Melody and the ultimate rebellion of the schoolchildren (orchestrated by Ornshaw) against the establishment. Funny, touching, and slightly disturbing in places, the film retains its energy after 40 years, thanks to Parker’s sharp writing, the excellent direction of Waris Hussein, the stalwart supporting cast and the energy of the youngsters. It also benefits from great location work in London some of which (e.g. when Daniel and Ornshaw take a trip to West End) was shot with hidden cameras. 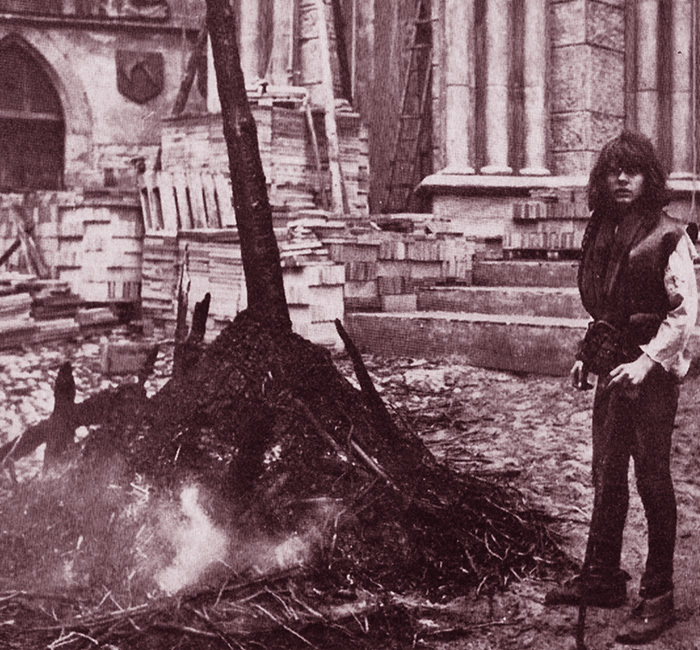 Jacques Demy directed this distinctive version of the Grimm fairytale, with a sombre emphasis on the Black Death and religious persecution. A superb British cast filmed much of the picture in the atmospheric medieval setting of Rothenberg ob der Tauber in Germany. A unique twist was the casting of singer-songwriter Donovan in the title role: he provided a haunting soundtrack. 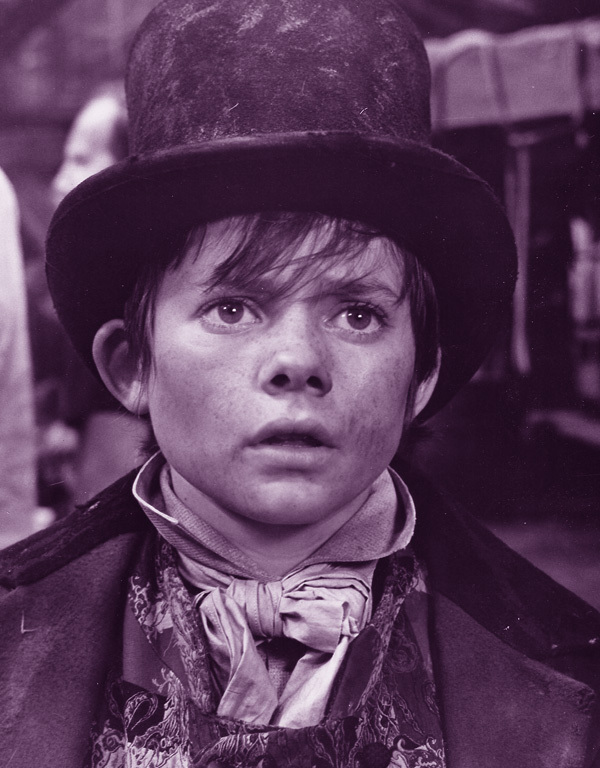 Jack played the young apprentice to the ill-fated old alchemist, played by Michael Hordern. 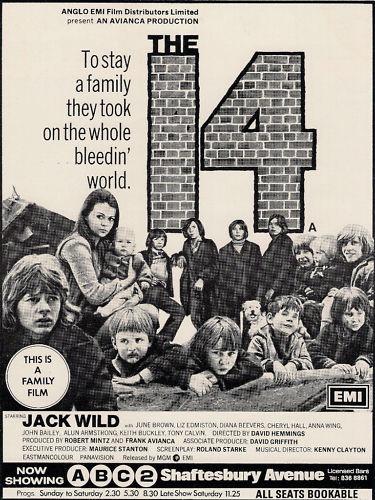 The 14 was a departure for Jack, playing his first adult role as the eldest brother of 14 children, who struggles to keep his family together when their mother dies. The story was based on the real-life struggles of a British family whose case had been used to highlight social problems in deprived areas. Extensive location shooting in derelict parts of London during the autumn of 1972 added to the gritty realism of the film. The film premiered in London on June 28th 1973. 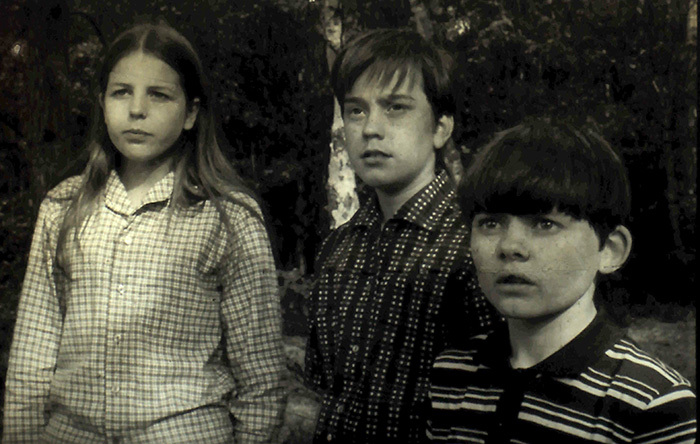 The following week director David Hemmings won a Silver Bear at the Berlin Film Festival for his outstanding direction of the child actors. Unfortunately the film was not a big commercial success and is now seldom seen. The only ‘X’ certificate film Jack ever made. This decidedly eccentric British comedy had extra saucy scenes filmed without the knowledge of the main cast. Playing an innocent young inventor, Jack managed to keep his clothes on throughout. A Cibalco Poltel production for South Street Films Ltd. This quirky fantasy, more a variation on the theme of Alice in Wonderland than a modern version of it, was not shown until long after it was made and has almost vanished without trace. Jack nearly died during the making of it, and his ‘drinking career’ meant it was his last film in a decade. 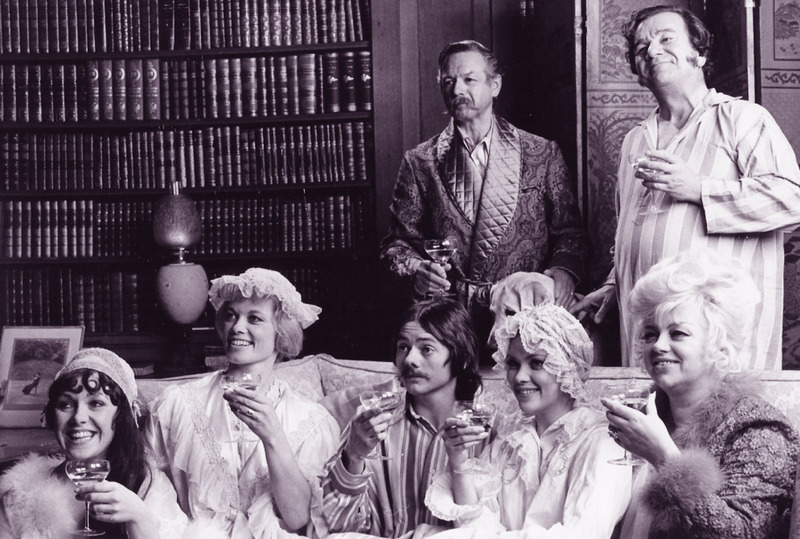 Ther are some lovely performances; a charming leading lady in Sophie Barjac, a charismatic White Rabbit from Jean-Pierre Cassel who demonstrates his excellent dancing, and a commanding Queen from Susannah York, but the film is hampered by some curious dubbing and music tracks which were pre-recorded with other people’s voices. Jack said the finished result made him sound like Barry White! Filmed in Marseilles, Warsaw, Szczechin and at Pinewood Studios, England. A hugely successful film which needs no introduction. 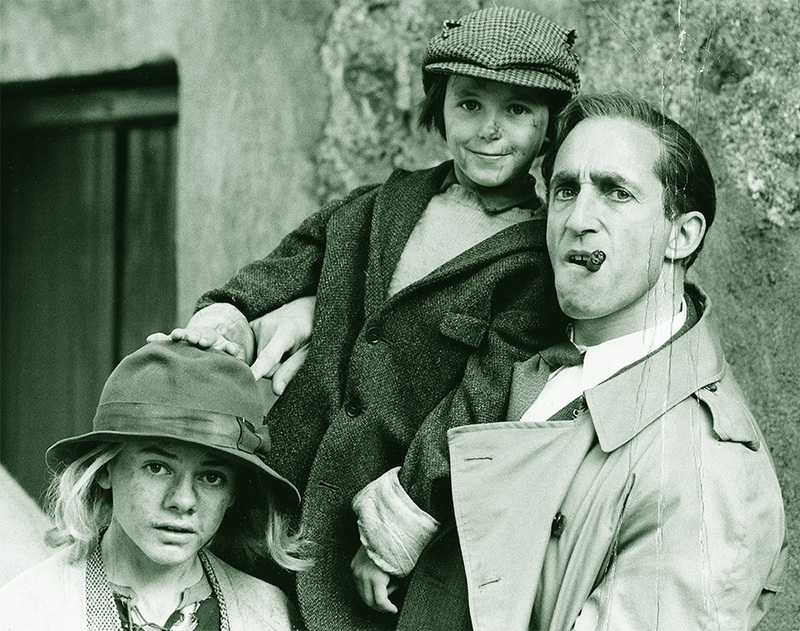 Jack had enormous fun as one of the Merry Men, his comic dialogue in the scenes with Danny Peacock largely made up by them at the time. Unfortunately filming overran and Jack was already committed to a West End show, Heaven’s Up, which is the reason his character disappears from parts of the film. Another film which, despite its interesting cast, was not widely seen. Jack filmed his scenes in April 1997. Jack’s final screen role after losing his voice, a cameo in this comedy thriller involving inept Irish assassins on a Greek island.